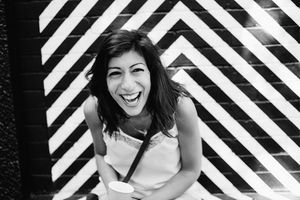 For Greek Cypriot food stylist and writer, Georgina Hayden, the food of Cyprus is at the very heart of a lifelong passion for cooking. Georgie's grandparents moved to England from Cyprus in the 1950s, but the cuisine of their native island remained at the centre of family life in the UK; while one set of grandparents ran a hugely popular taverna in London's Tufnell Park for over thirty years, the other opened one of North London's first Cypriot grocers. 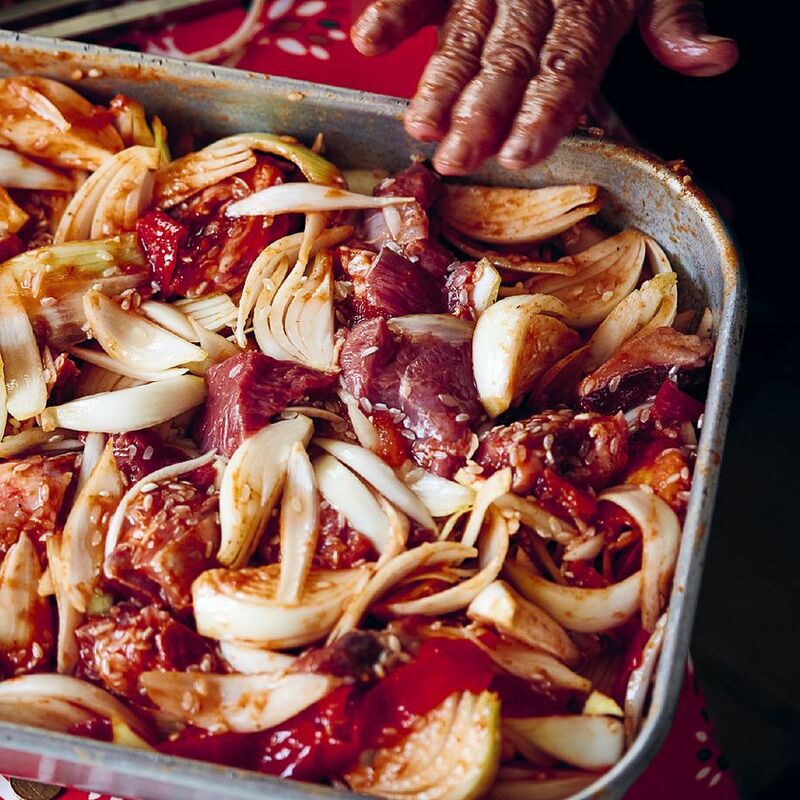 Many of Georgie's fondest childhood memories are of spending hours in the kitchen with her yiayias, closely watching them make traditional delicacies and helping them prepare feasts for the family and local community. 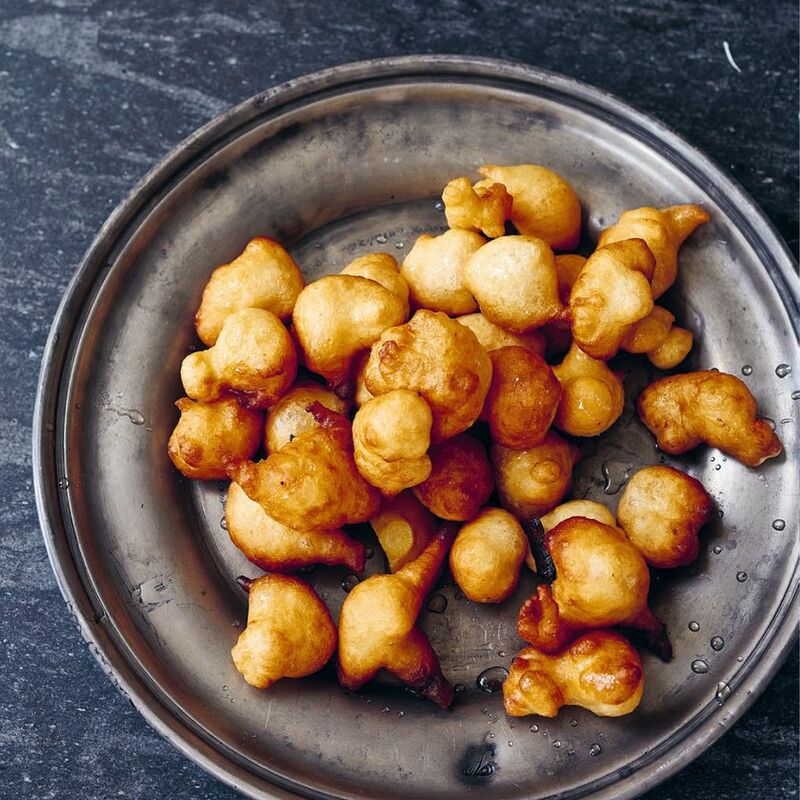 Following on from the success of her much-loved first cookbook, Stirring Slowly, in Taverna, Georgie shares the secrets behind these special family dishes, with a collection of authentic Greek Cypriot recipes collected over many years. 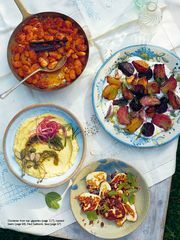 Reading through Taverna is like being taken on a guided food tour of this Mediterranean island, its ingredients and culinary customs, complete with inspiring photography and recipes that will soon become favourites among your own family. In this feature you'll get a sneak peek at 10 of the authentic dishes waiting for you to discover when you get your copy of this inspiring cookbook. 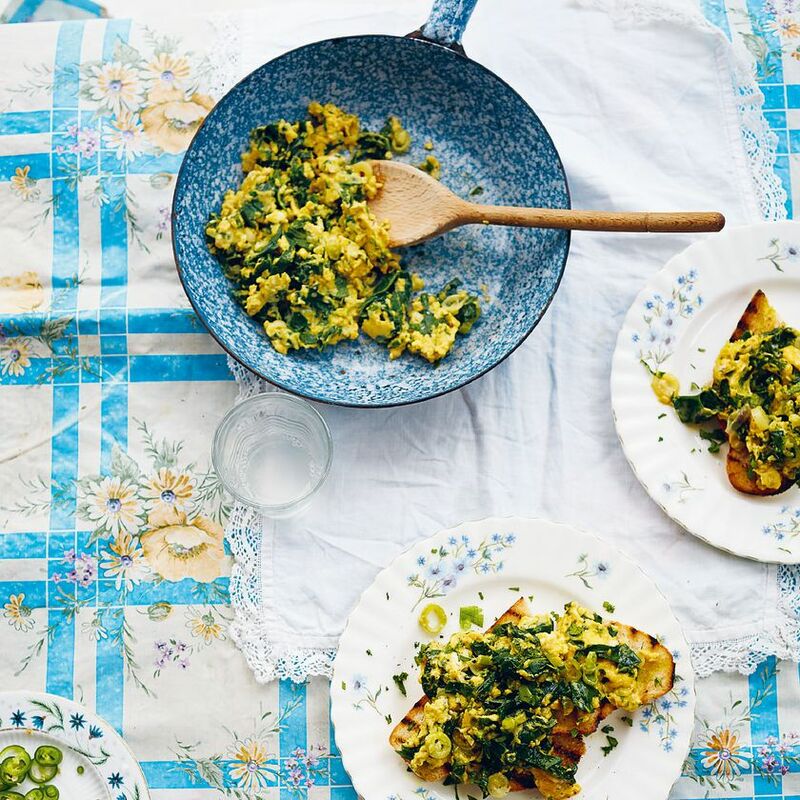 Greens cooked in eggs are a Cypriot breakfast staple and not so much a recipe as a concept to be embellished with whichever seasonal greens you have available. Serve piled onto buttered toast and you've got yourself a breakfast of (Cypriot) champions. 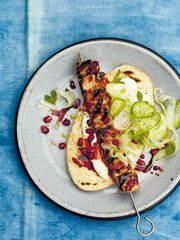 Get this recipe in Taverna. If you're on the fence about combining seafood and cheese, this is the dish to convince you of its mertis. 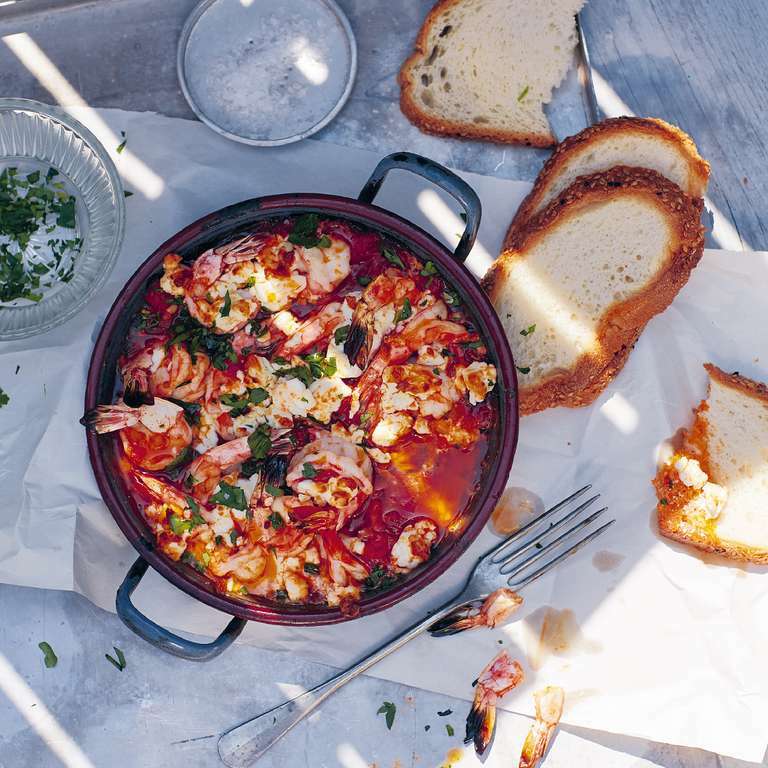 Here, salty feta is the perfect foil for the sweet, spicy tomato sauce dotted with plump prawns. Just close your eyes and imagine you're in Cyprus eating this joy in a restaurant lapped by the Mediterranean. 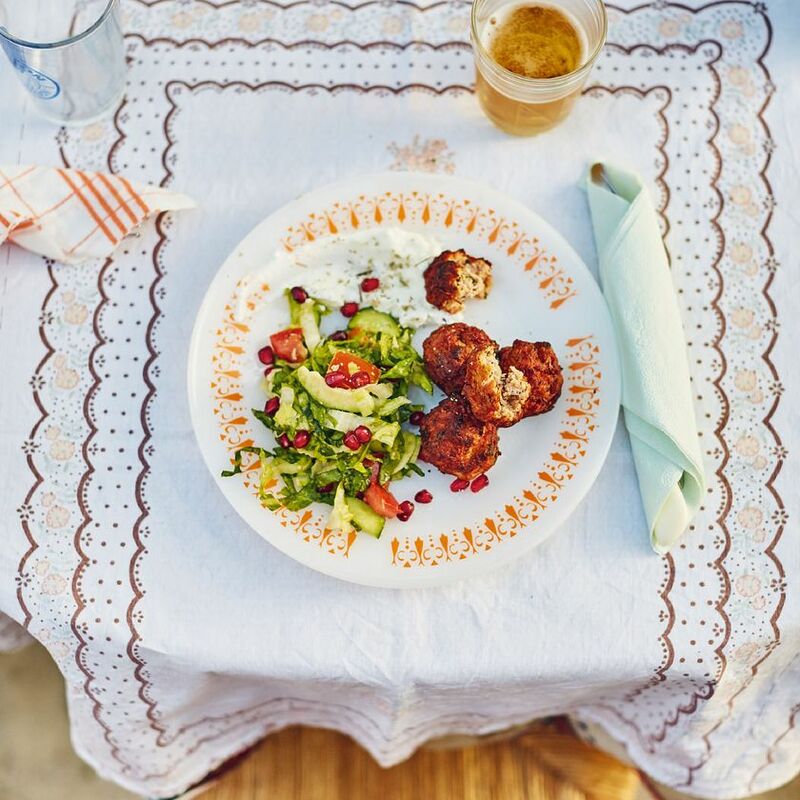 Tender, succulent and delicately laced with quintessential Cypriot spice, cinnamon, these versatile pork meatballs are a meze mainstay but can also serve as everything from finger food (dipped in a little tzatziki) to the star of your dinner plate with a big chopped salad on the side. If you thought that stuffed courgette flowers were the reserve of Italian cuisine, think again. In this Cypriot version, these delicate summertime blooms are filled with rice, spice (and all things nice) and served atop courgette slices with a vibrant lemony yoghurt. 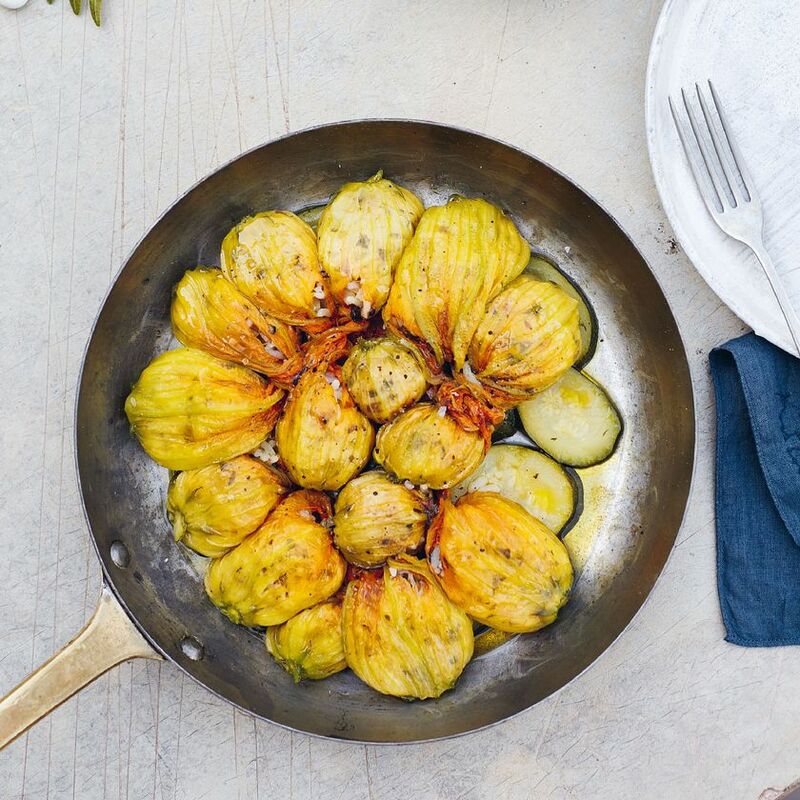 Summer in a pan. Cheese pies are ubiquitous across Greece, from small handheld versions to whole trays cut into slices. 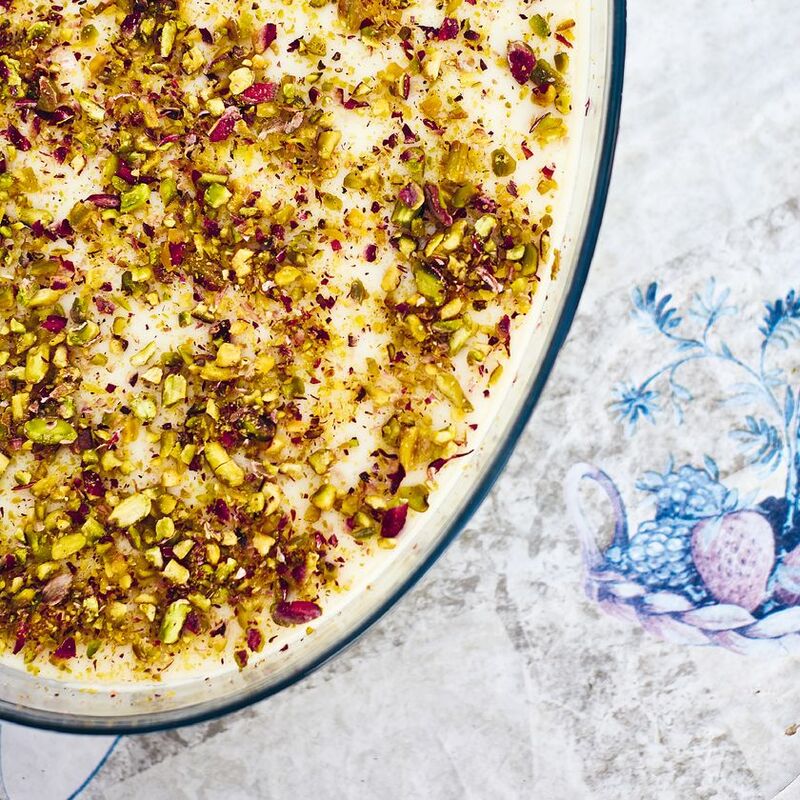 Here Georgie opts for the latter, which involves soaking kataifi pastry stuffed with halloumi, feta and kaseri in a light custard before baking. 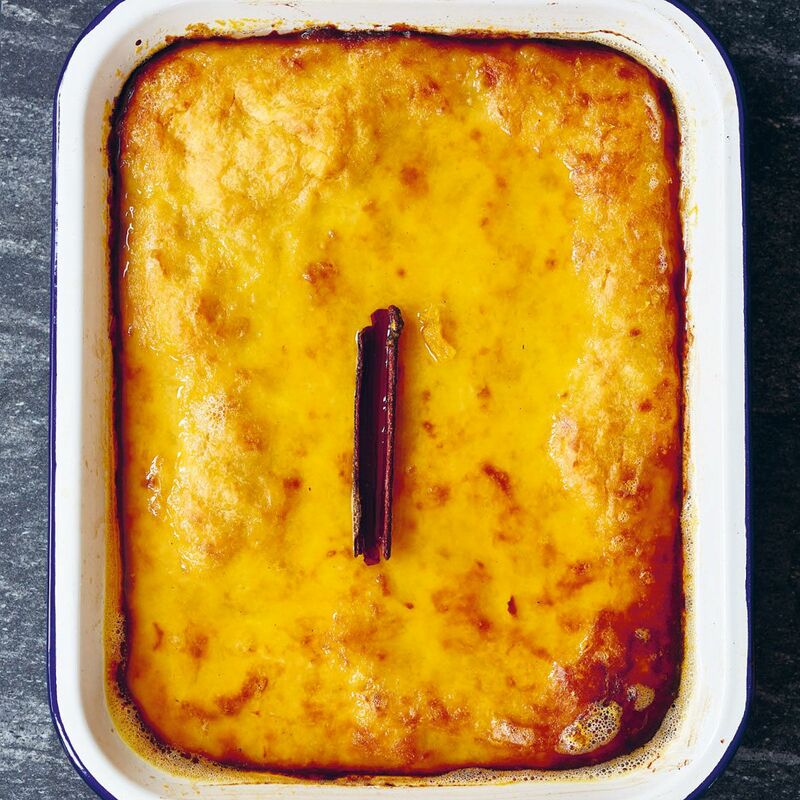 We'll just give you a moment to revisit that concept: three types of cheese encased in pastry, soaked in custard and baked to create the wondrous pan of goodness you see below. It's a yes from us. 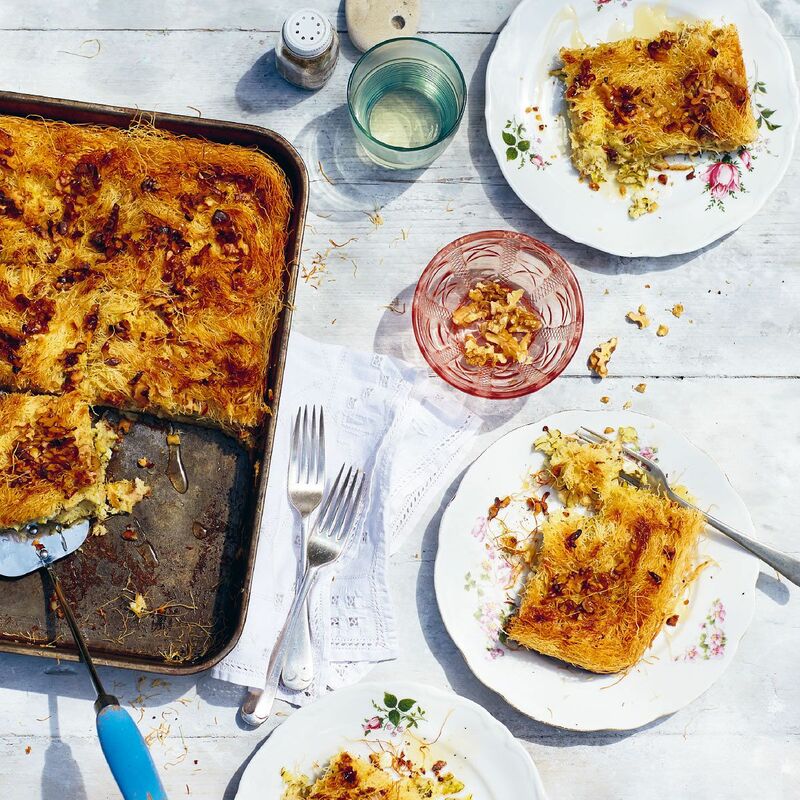 Pastitsio is Greece's answer to lasagne. 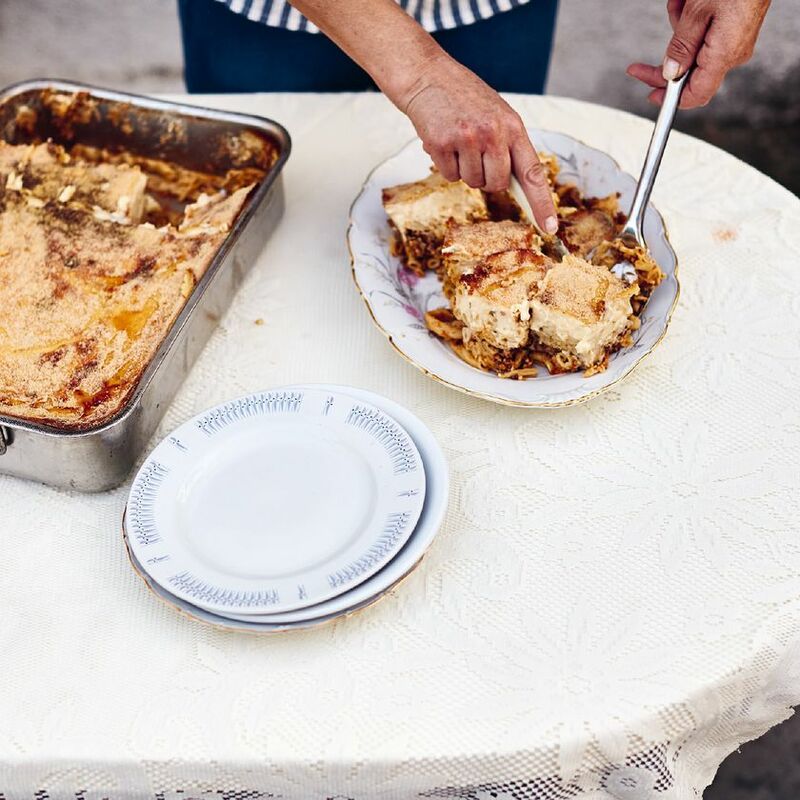 Served cold to help the layers firm up, it features a base of macaroni and an aromatic meat sauce all topped with a billowy layer of béchamel akin to that which you'll find on a moussaka. Layer after layer of comfort food at its finest. Every cuisine needs a one-pot wonder and this is Cyprus' very own. A simple dish of melt-in-the-mouth lamb, soft potatoes and caramelised onions that no meat eater could eschew. We hope you've saved room for dessert because there is much to fall in love with in Taverna's sweet section, starting with this unusual bake made from shredded filo pastry. 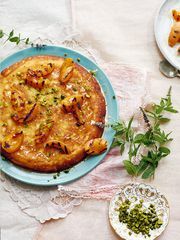 The perfect treat for lovers of a citrus drizzle, this moist, vibrant cake is soaked in a yoghurt-based custard before baking (we're seeing a trend here and we're very into it), resulting in a cake that manages to be both light and rich. Described as little doughnuts that are drenched in a spiced sugar syrup (Georgie had us at that, frankly), these crisp sweet treats are a traditional offering for Epiphany, when they are left on windowsills to scare away the kallikantzari (little imps that live underground and come up during the 12 days of Christmas). They're so moreish, we're not sure there'll be any left for the windowsill, but we love a doughnut with a story. There are versions of mahalepi, a pudding comprised of cornflour and water cooked down to a jelly-like consistency and infused with rose syrup, rosewater and sugar, all over the Middle East as well as Greece and Cyprus. Like a cross between a panna cotta and a set custard, it's all about the adornments and Cypriots love it for a sugar hit at the end of a day in the sun. 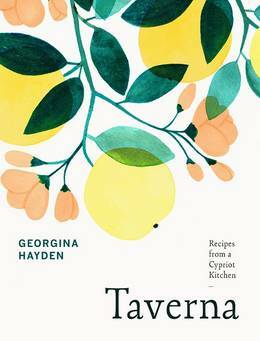 Taverna is a journey back to Georgina Hayden's Greek-Cypriot roots with exciting, vibrant, sun-soaked recipes that will make you rethink what Mediterranean food is all about. 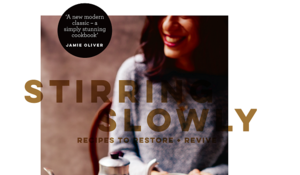 Food Blogger behind Auburn Antics, Emily Rowbotham, tests out recipes from Georgie Hayden's new book, Stirring Slowly. 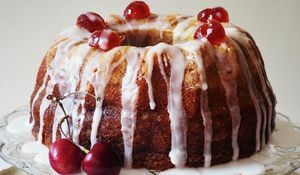 Find out how she got on with Georgie's insanely good Blondies and her Cherry Bakewell Bundt.